I started flying in summer 2014 and after 2 years I really got into XC and competition flying. I am flying competitions because it is the best way to improve your flying skills and it is so much fun to race a given task together with others. 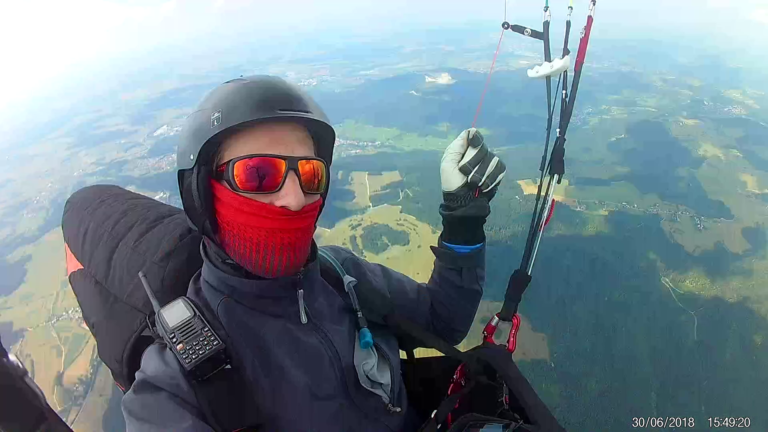 I managed to qualify for the German Paragliding League 2019 and I am looking forward to flying with the best, see new places and expand my paragliding abilities. In 2018 I also managed to fly a 211 km FAI from Grente, and it was amazing to fly above all those different regions of the alps in just one flight. in 2019 I will be flying the Queen 2 because it is the ideal wing for competition and XC. I am very happy to be part of the Triple Seven Team as it is a young brand with innovative products and huge experience in competition flying.